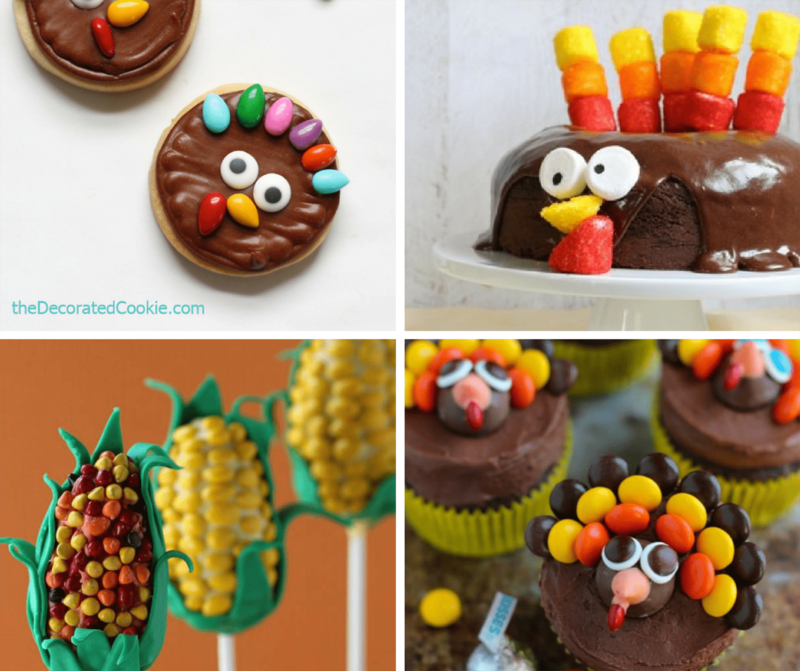 30 THANKSGIVING FUN FOOD IDEAS: A roundup of fun food crafts. 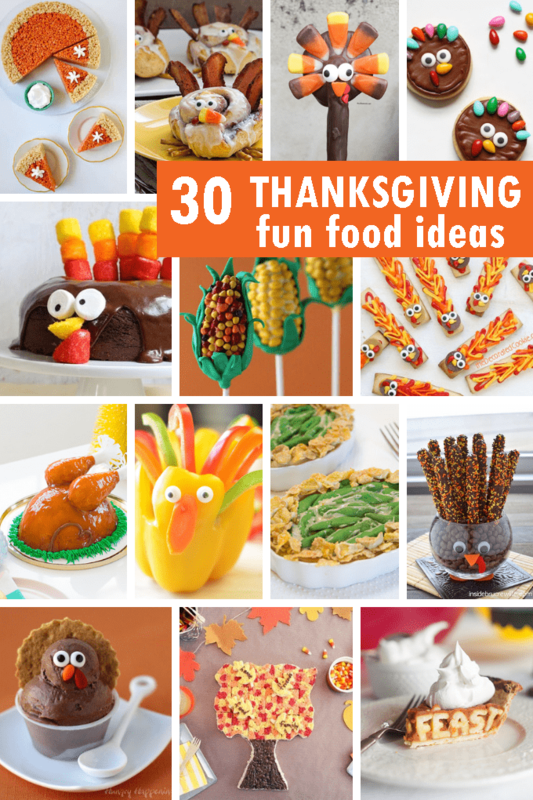 A roundup of 30 fun food ideas for Thanksgiving. Time to talk turkey. 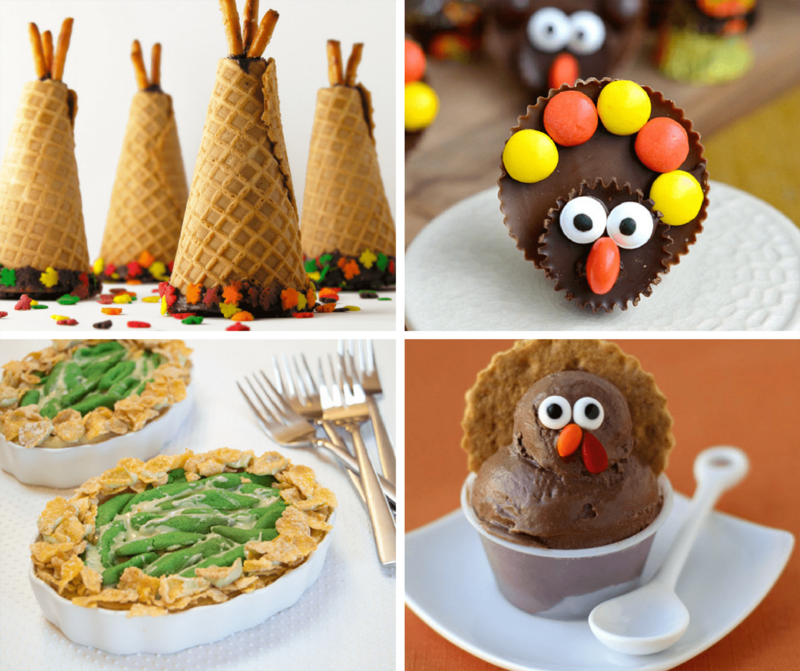 Thanksgiving is upon us, so ’tis the season for Pinning lots of Thanksgiving ideas. My schtick (spelling?) as always is the fun food ideas. 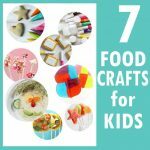 Food crafts. Edible crafts. Whatever you call them, it means cute food that looks like stuff. I will admit, I have a good number of my own in here, but they all fall so well into the category. 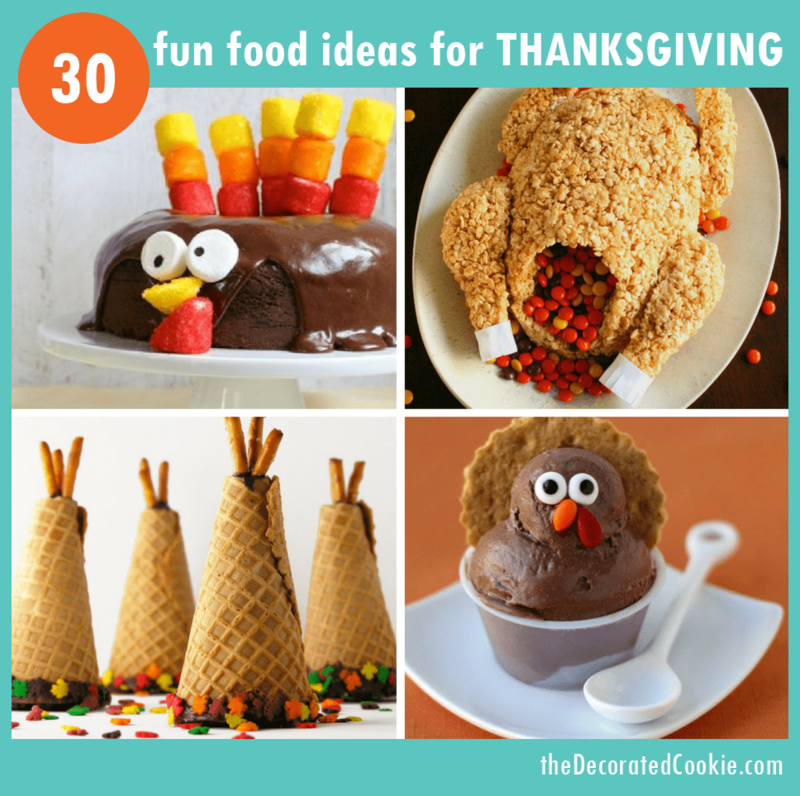 So here are 30 Thanksgiving fun food ideas. 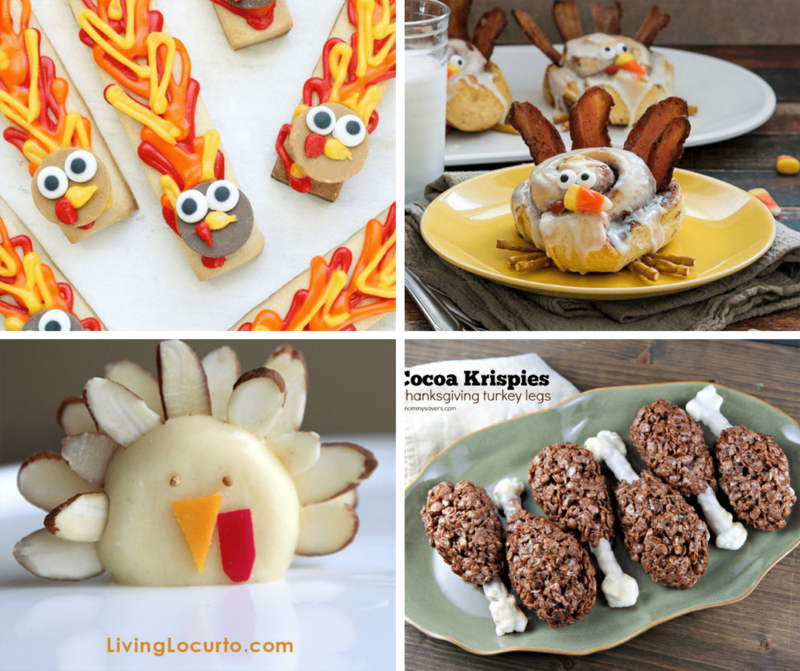 Make cute, easy turkey cookies HERE. Try this chocolate turkey cake HERE. How about corn on the cob cake pops at Pint Sized Baker. Too cute turkey cupcakes at Your Cup of Cake. I love this pumpkin pie Rice Krispie Treats at Just a Taste. Make a “FEAST” pie at A Subtle Revelry. 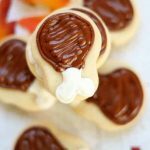 Tiny dessert: turkey leg cookies HERE. 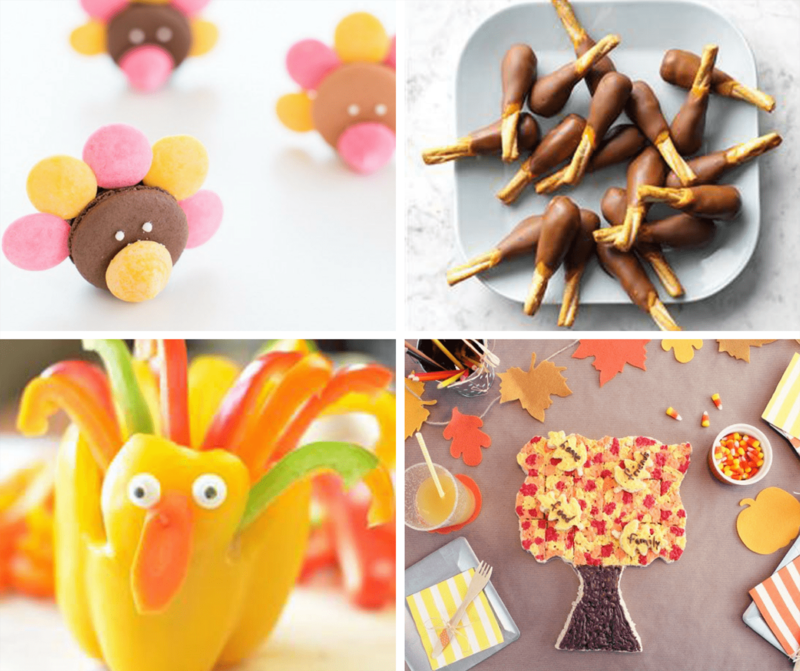 Make turkey treats with a free printable at The Celebration Shoppe. Try tepee cupcakes at EasyBaked. Or Reese’s turkeys at Mom on Timeout. Make a dessert “green bean casserole” at Project Denneler. Check out these banana ice cream turkeys at Hungry Happenings. Great idea! chocolate-covered pretzels in a turkey jar at Inside Bru Crew Life. Wow! Check out this turkey ice cream cake at Sugar and Cloth. Make crescent roll cornucopias at Kid Friendly Things To Do. Try turkey pancakes at Kitchen Fun with My 3 Sons. Loving a pumpkin patch cake HERE. Make a turkey lunch at Meet the Dubiens. Try these turkey pretzels at The Idea Room. Make turkey cheese bites at Apron Strings. 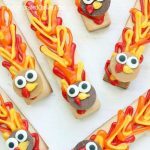 Here are some turkey cookie sticks HERE. Loving the cinnamon roll turkeys at Pillsbury. Hungry? Make cheese turkey snacks at Living Locurto. 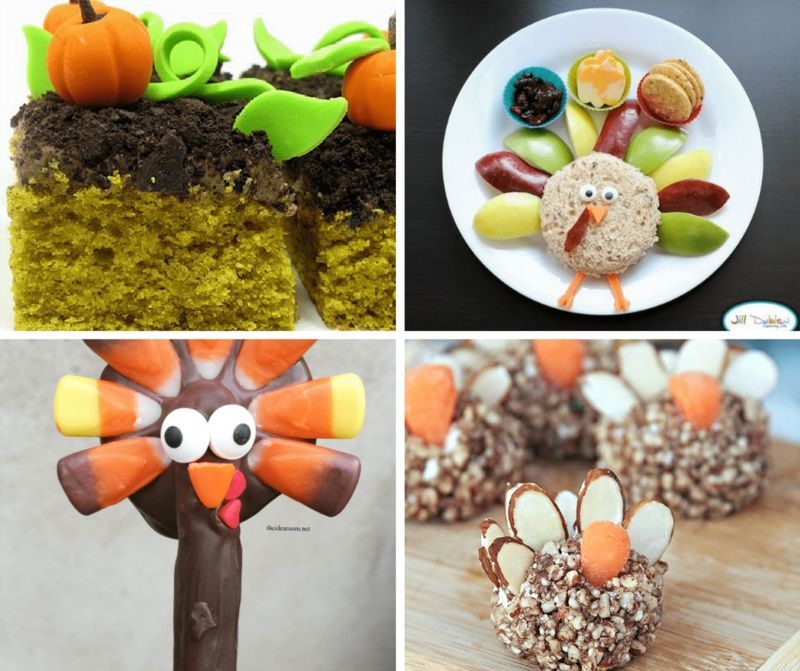 Make Cocoa Krispie turkey legs at Mommy Savers. Cute turkey macarons at Sugar and Cloth. Make chocolate caramel turkey legs at Taste of Home. Some turkey veggies and hummus at Super Healthy Kids. 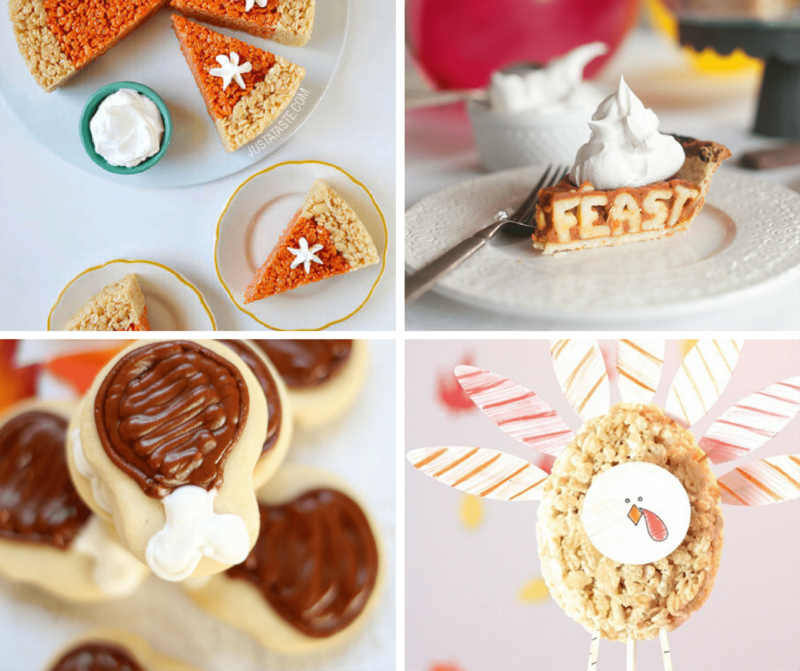 Make a thankful tree from Rice Krispie Treats at The Celebration Shoppe. Make a whole turkey Rice Krispie Treat at The Life Jolie. Make cinnamon roll pumpkins at The Pinning Mama. 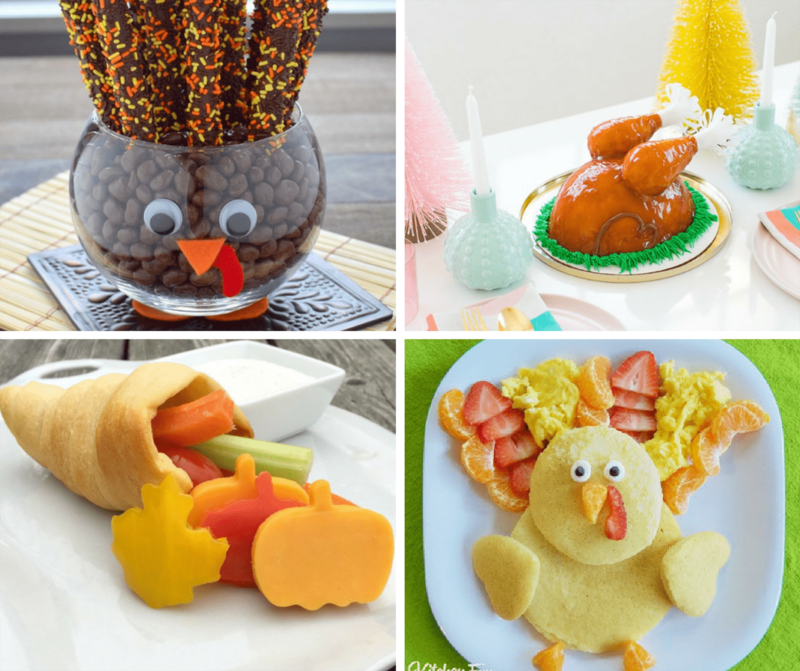 If you like this roundup, be sure to check out my TURKEY-THEMED APPETIZERS.